Contact Little Havana Injury Lawyers Gerson & Schwartz, P.A. Were you hurt or a loved one killed in an accident in Little Havana? When you believe the accident was caused by another person’s carelessness, recklessness, or intentional misconduct, we recommend you contact Gerson & Schwartz P.A. By working with our bilingual Little Havana personal injury lawyers, you have a legal team who will look into the accident. Through our investigation, we will gather all types of evidence, such as photos, videos, physical objects, documentation, and police reports. We will analyze each piece of evidence to verify who was at fault for the incident. We also use this evidence to determine who is liable for compensating you for your injuries or loss. With this information at hand, we will pursue fair compensation for your injuries or loss through an insurance claim and/or lawsuit. To learn more about your rights after a serious accident, contact Gerson & Schwartz P.A. at (877) 475-2905 or through our online contact form. Personal injury lawsuits and insurance claims take time, and the best way to obtain the recovery you deserve is to work with someone with legal knowledge and experience. Without having a Little Havana personal injury attorney by your side, the insurance company can take advantage of your lack of expertise. When you work with a veteran lawyer, you improve your chance of receiving a settlement and of increasing the final amount. Miami has many diverse neighborhoods, including Little Havana, which lies west of downtown. Little Havana’s name is derived from the capital of Cuba and came about in the 1960s. During this decade, many Cuban refugees fled their home country when Castro became prime minister and solidified his power. By the 1970s, the neighborhood had become more than 85 percent Cuban. This has led Little Havana to become the most well-known neighborhood for Cuban exiles in the world. Since the ‘60s and’70s, the number of residents of Cuban descent has decreased some. However, Little Havana remains a predominantly Hispanic community. It also remains a political, social, and cultural center. Many tourists come to the area to enjoy its culture and history, including the Viernes Culturales festival, the Calle Ocho Festival, the Bay of Pigs Museum and Library, and many more sites. While Little Havana is a long-time home for many and a travel destination for others, it is far from perfect. Like any Miami neighborhood, it has its difficulties and fair share of accidents. 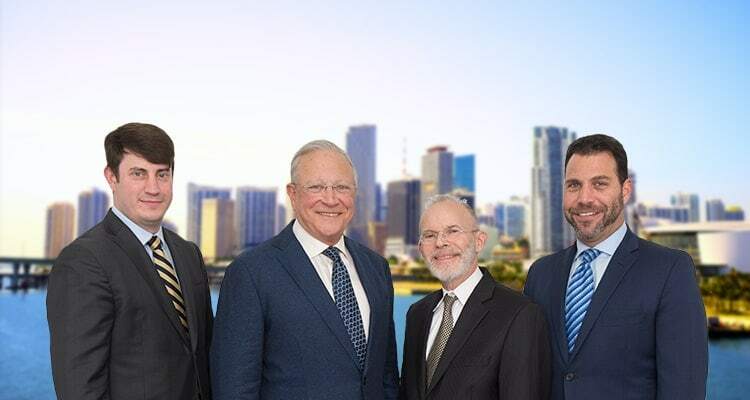 Our personal injury lawyers for Little Havana are here to represent you if you were injured or lost a loved one in an accident in Little Havana. Never hesitate to give us a call to talk with us about how we can help. We handle car accidents claims on a regular basis, including crashes that occur in Little Havana or that involve Little Havana residents. 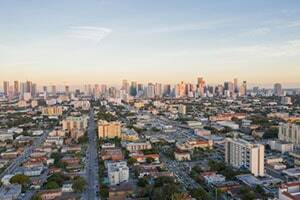 Like any other part of Miami, the neighborhood experiences a great deal of traffic. The mixture of pedestrians, cyclists, passenger vehicles, buses, and commercial trucks makes it nearly impossible to avoid accidents. At some point, someone will be careless, and you or your loved one may be the victim of that negligence. Was Your Relative Killed in an Accident? If your parent, spouse, or child was killed in an accident, which you believe was someone else’s fault, then contact our Little Havana wrongful death lawyers right away. We are here to conduct an in-depth investigation, find out what happened, and determine if another party is liable for your relative’s death. If it appears someone else was responsible, then we will explain your rights under Florida’s Wrongful Death Act. The personal representative of your relative’s estate, which may be you, another family member, or someone else, may have the right to file a wrongful death lawsuit and pursue compensation on behalf of your relative’s survivors. After being hurt or losing a loved one in an accident caused by another person or business, you may not be sure of what to do next. You may not be confident of whether you can get compensation, and if so, how to pursue it. You also may not be sure of how much your claim is worth. By hiring our Little Havana personal injury law firm, you gain a team of experienced legal professionals who will make sure you are fully informed of your rights and options. We will guide you through the insurance claim and legal processes and fight hard for you to receive the maximum amount of compensation possible. Call us at (305) 371-6000 or contact us online to schedule a free consultation.